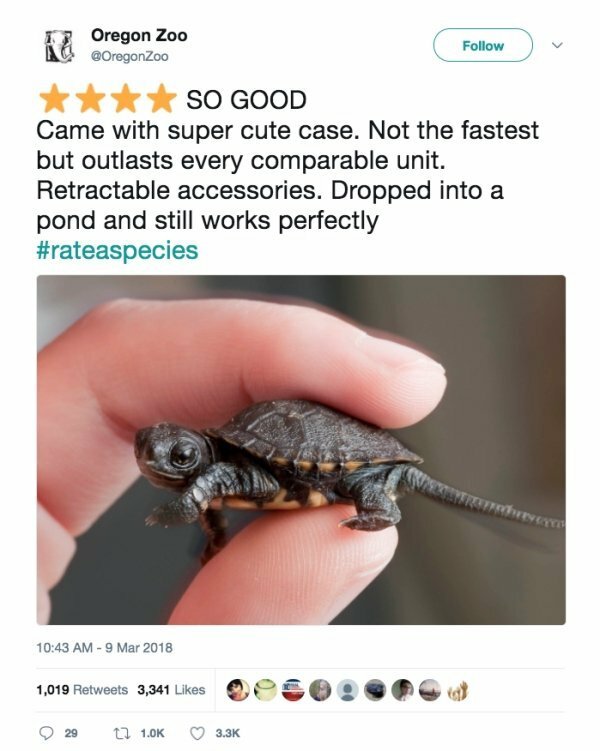 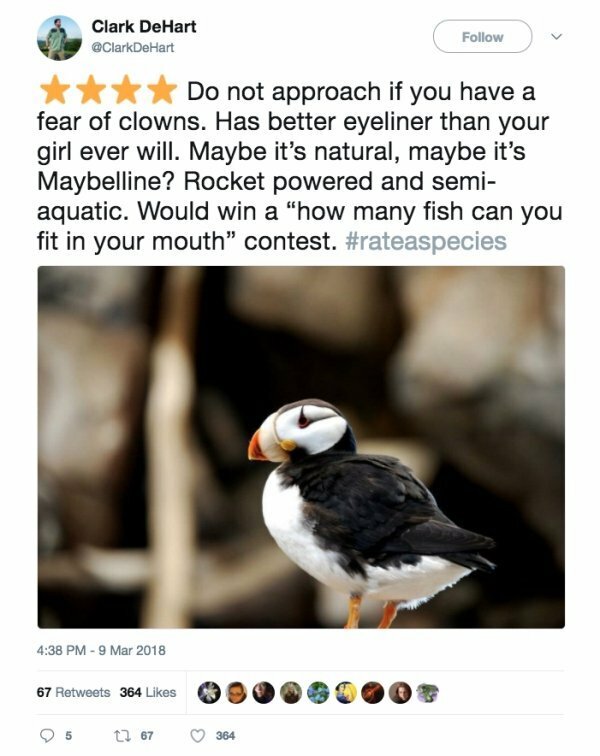 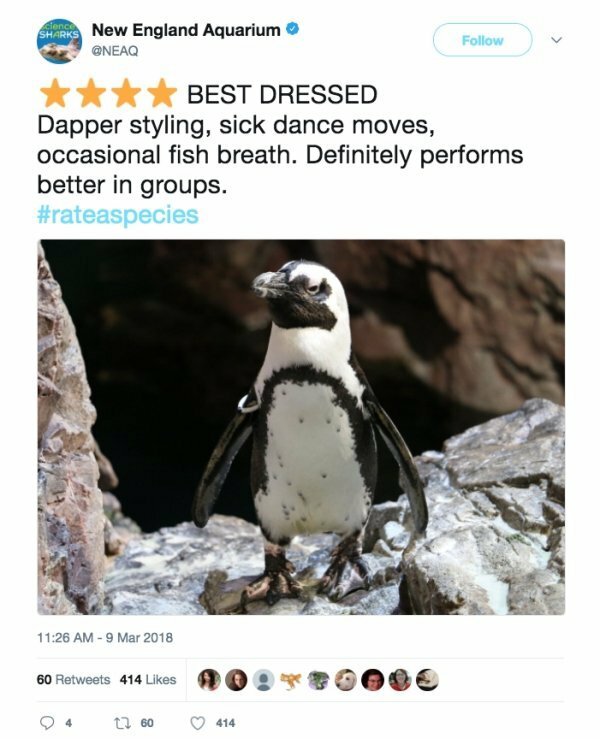 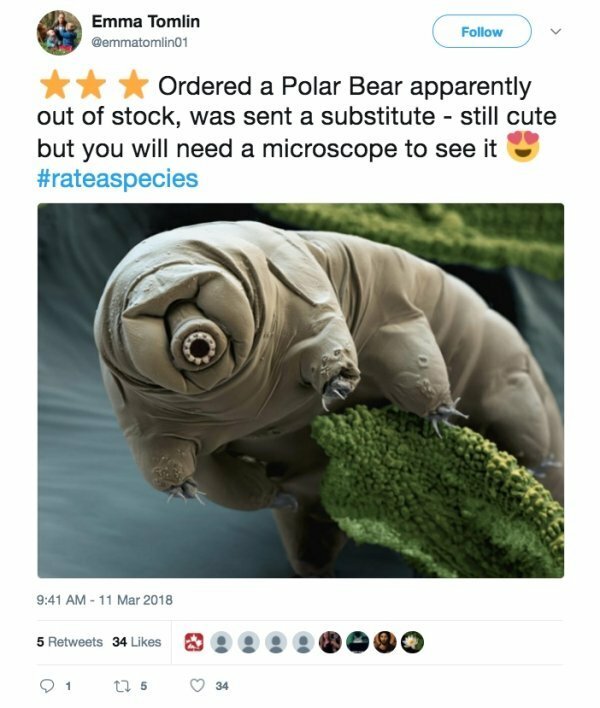 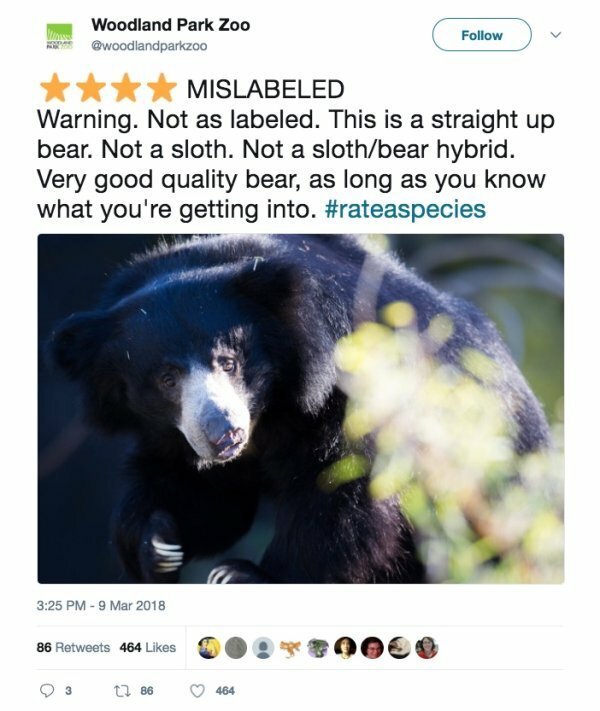 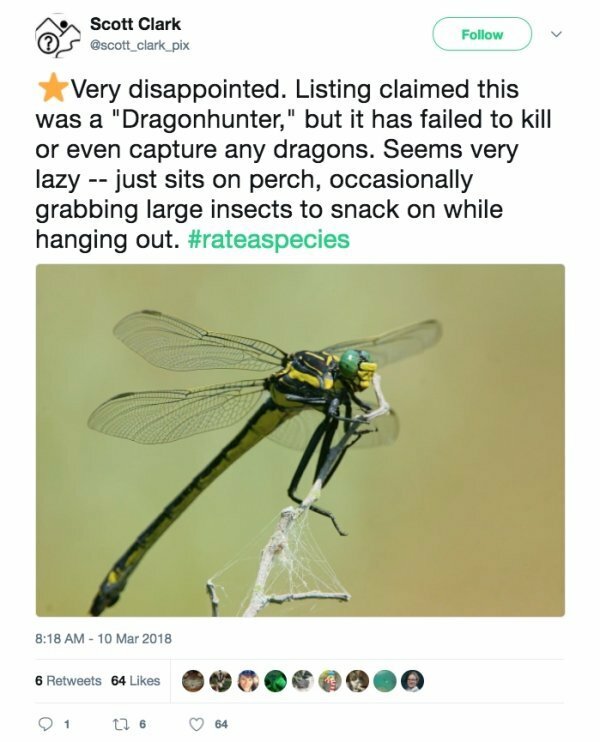 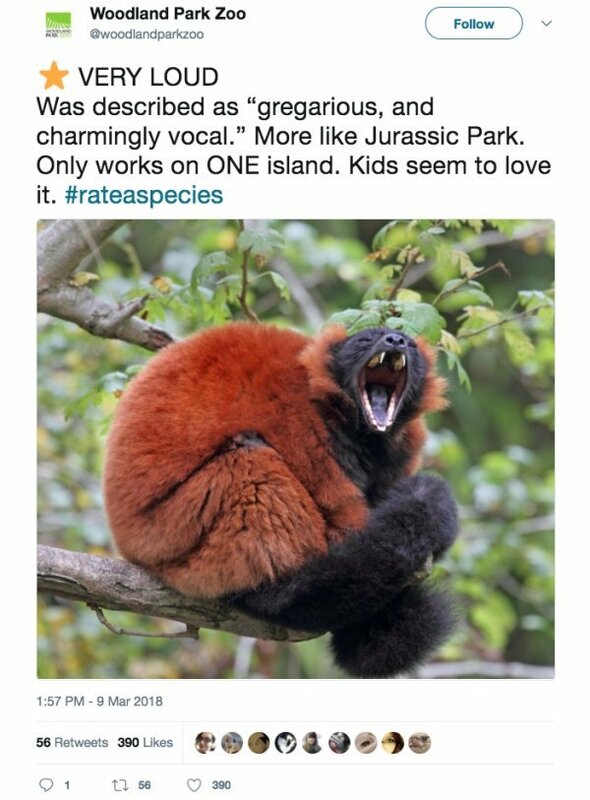 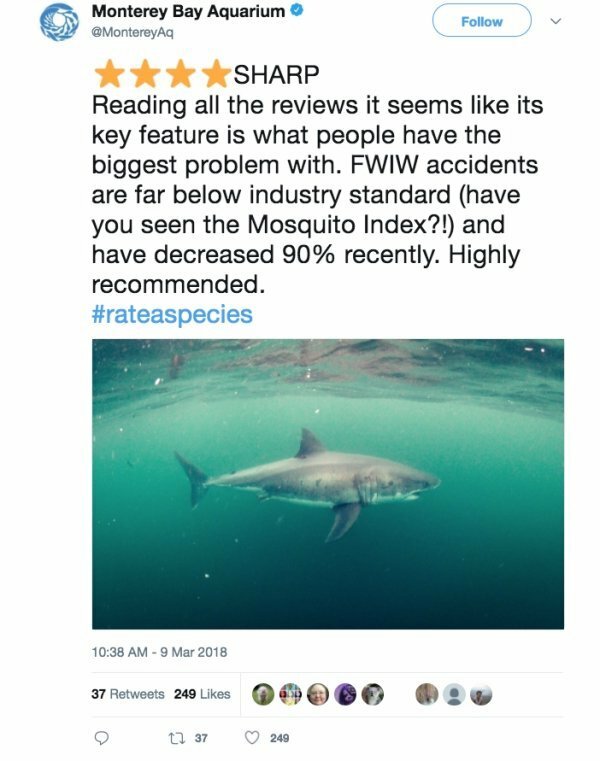 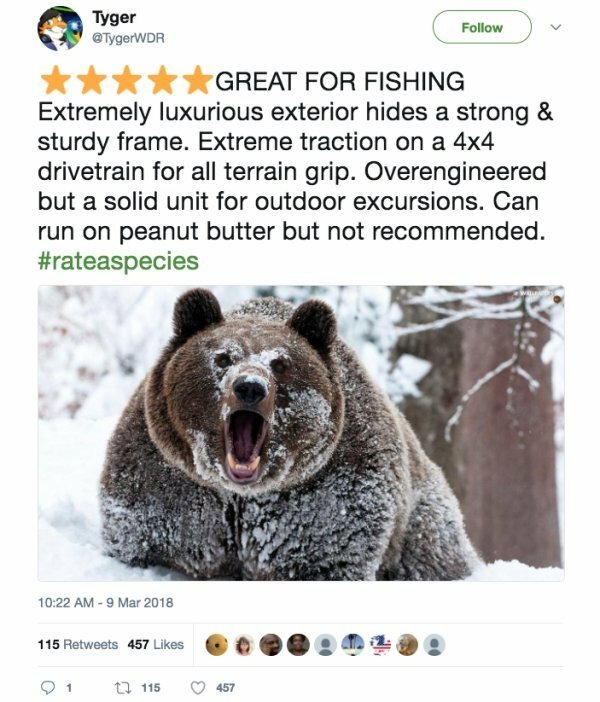 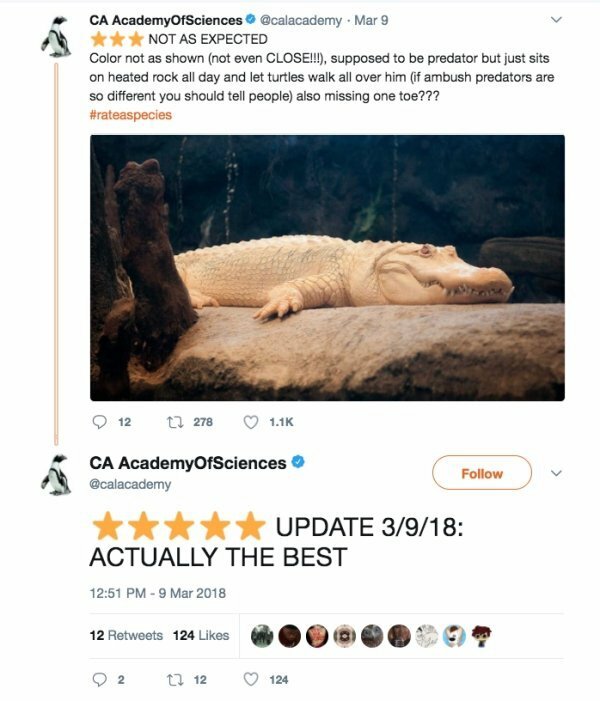 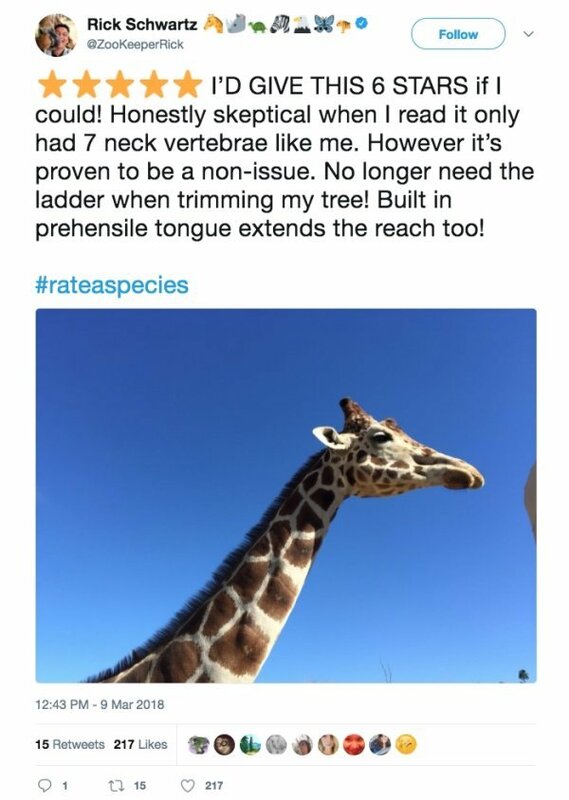 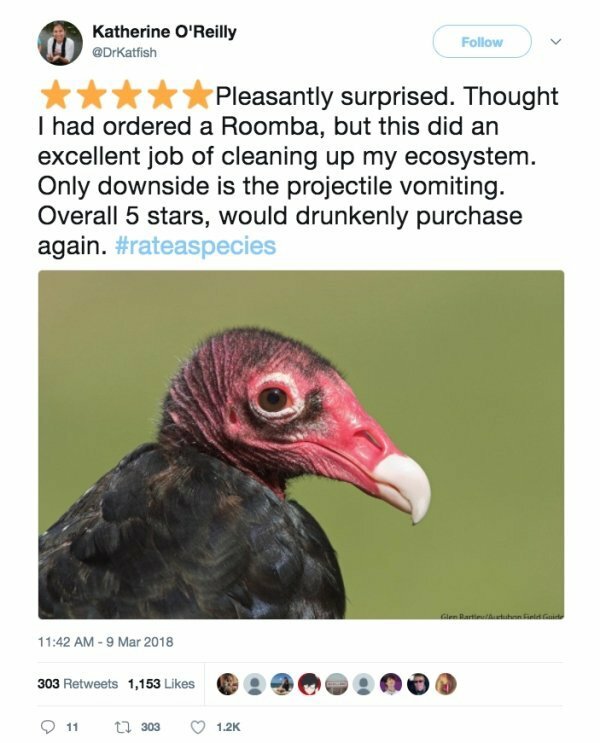 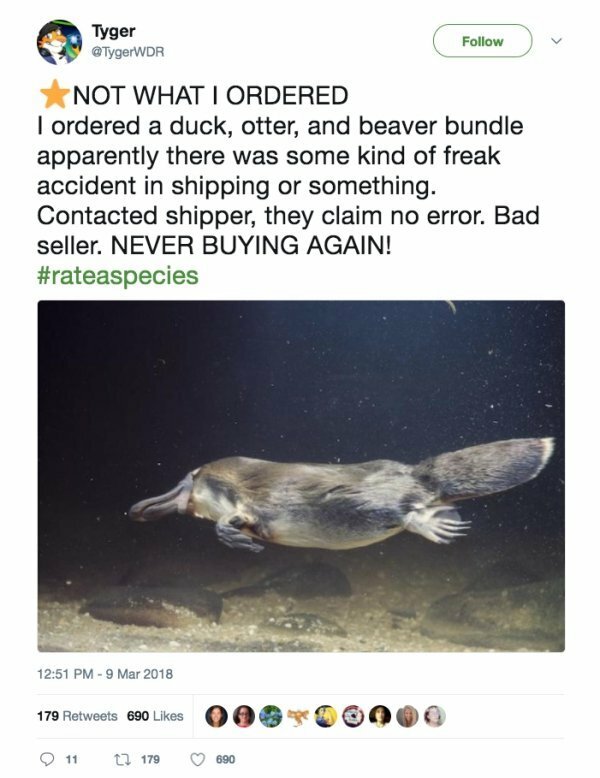 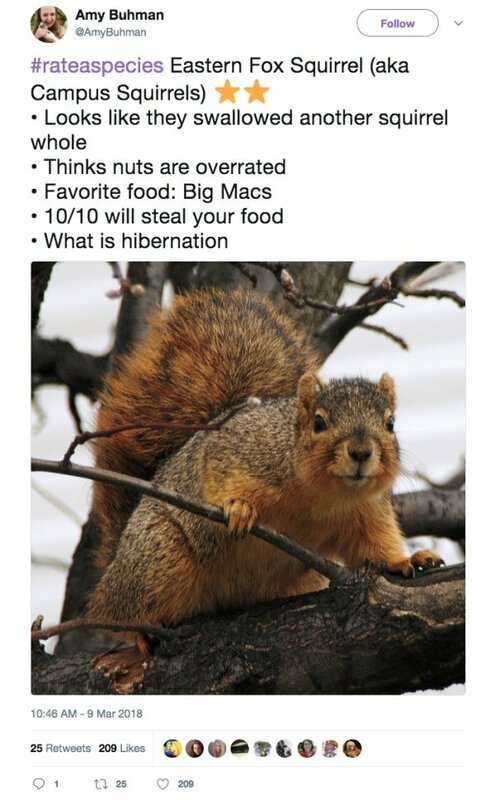 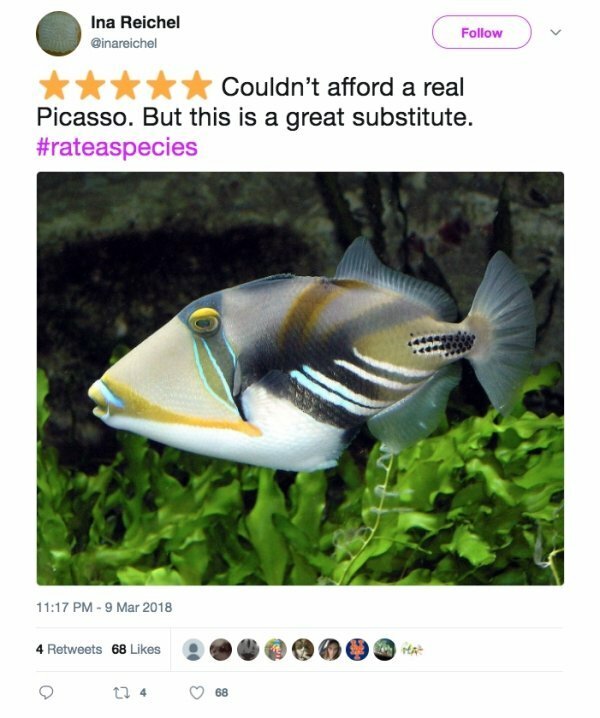 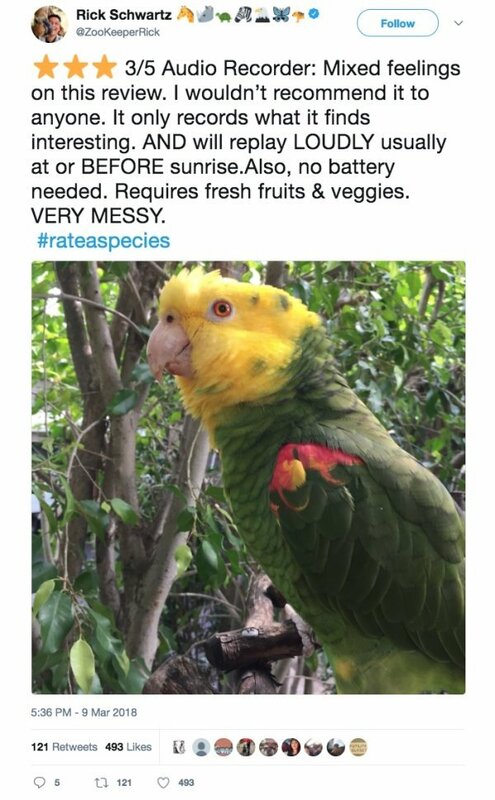 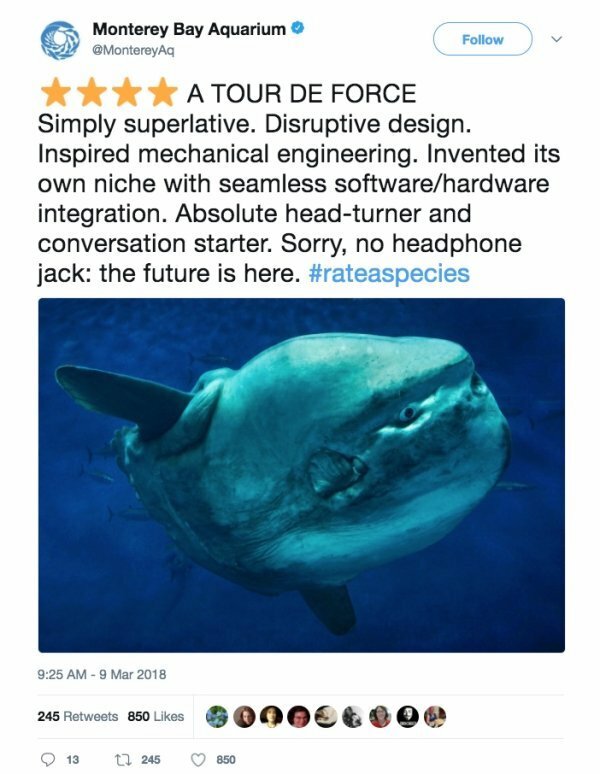 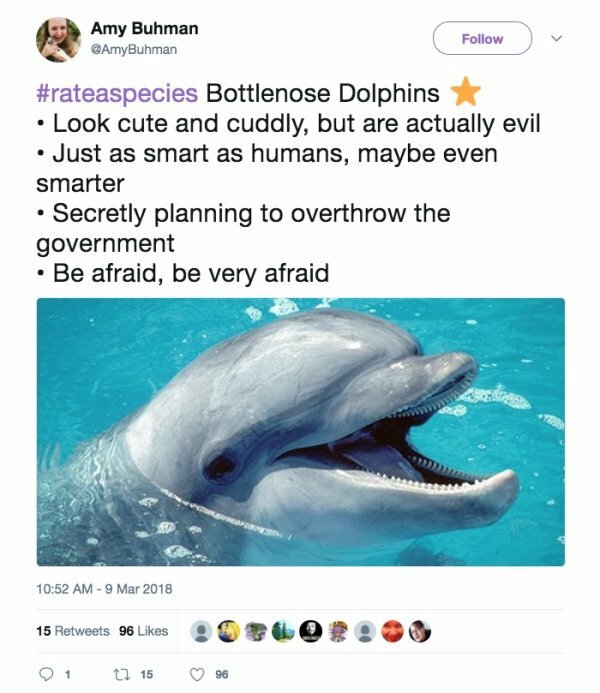 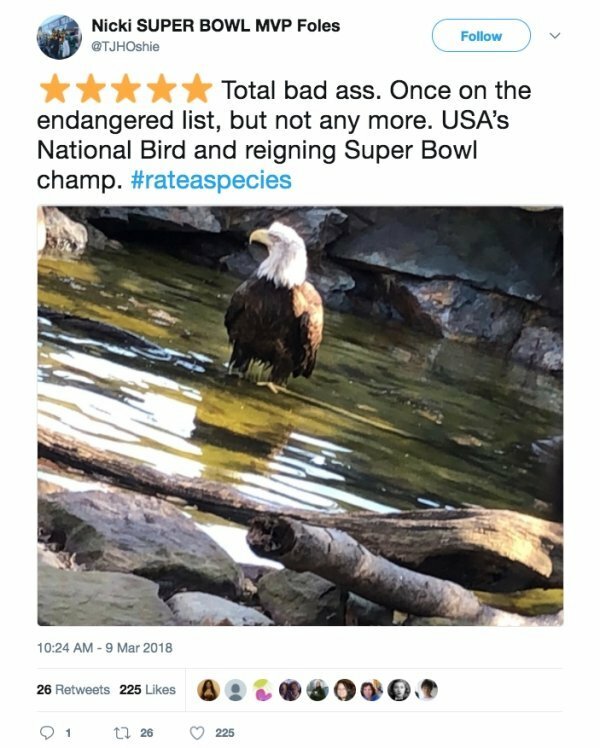 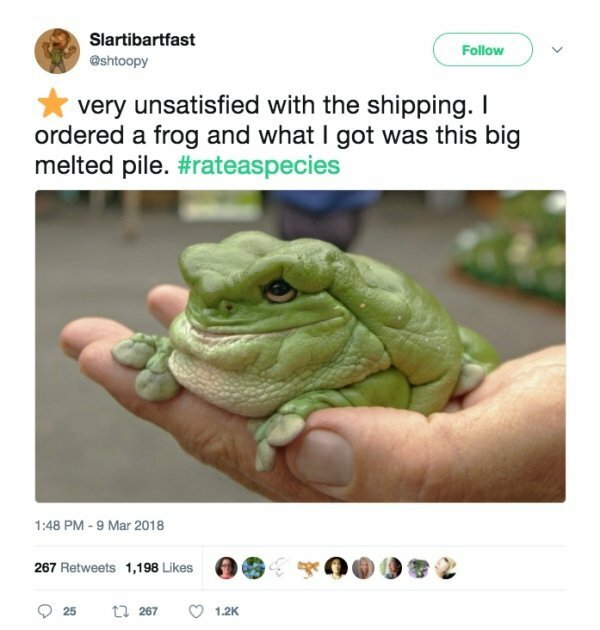 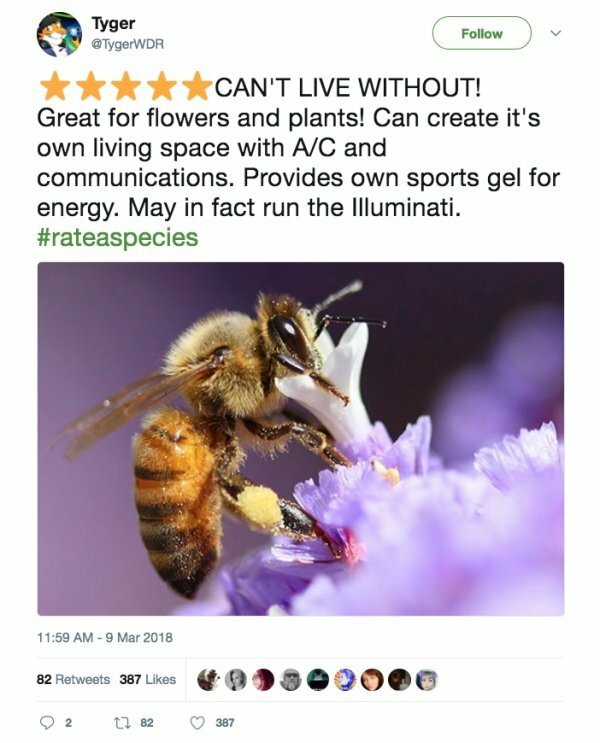 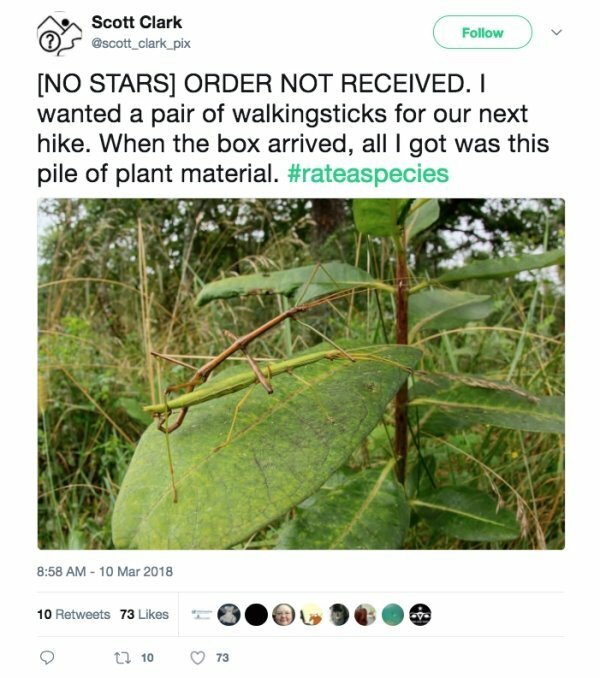 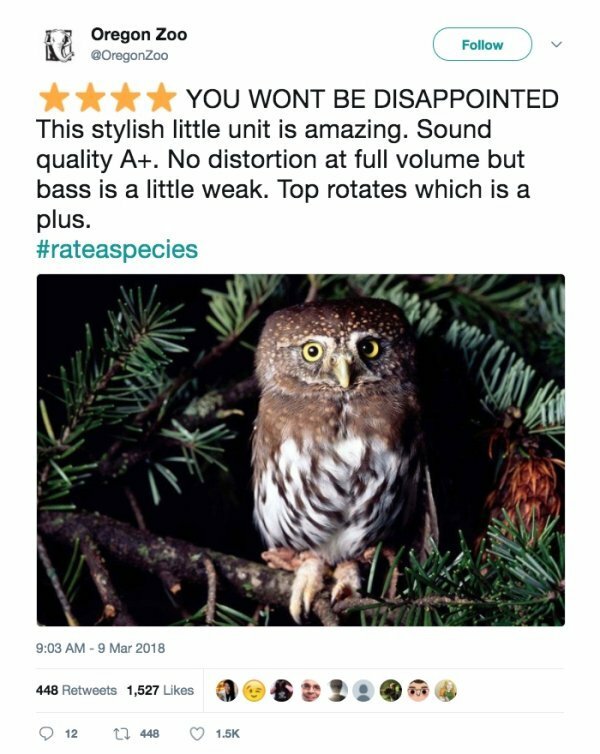 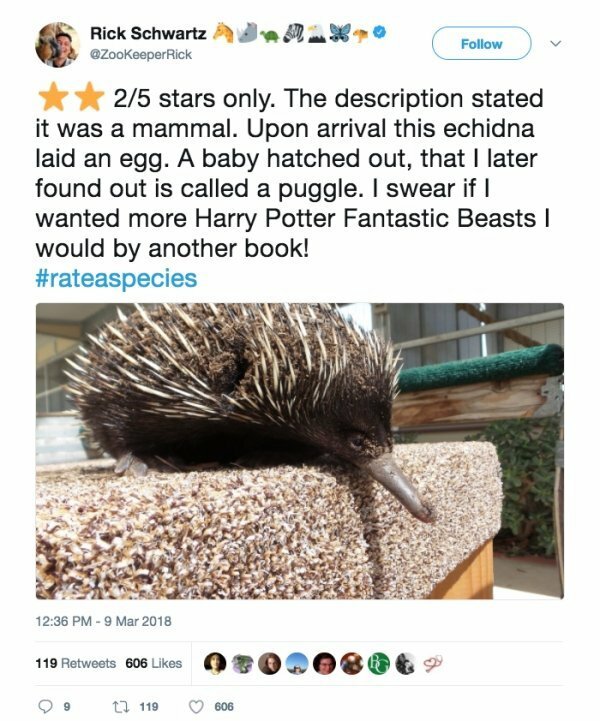 Everyone on Twitter is participating in Rate A Species, a new way to make sense of the animal kingdom. 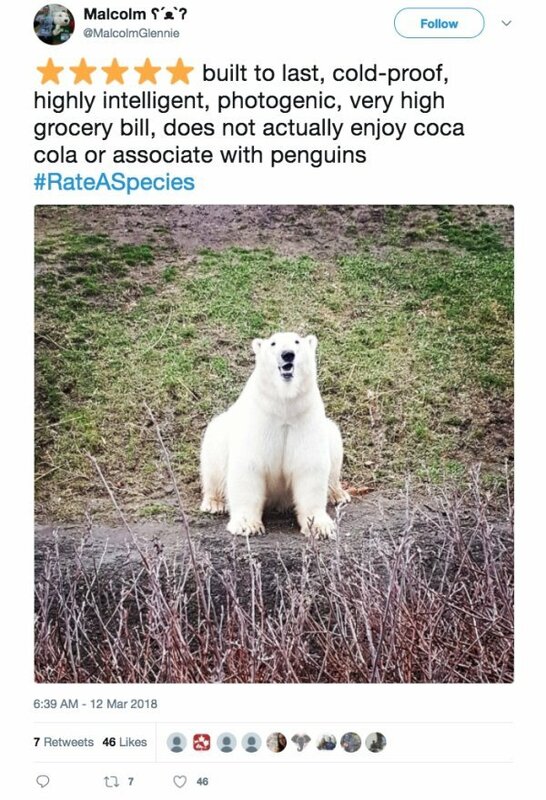 Next time you go to the zoo you’ll just be like “Okay where’s the user ratings”. 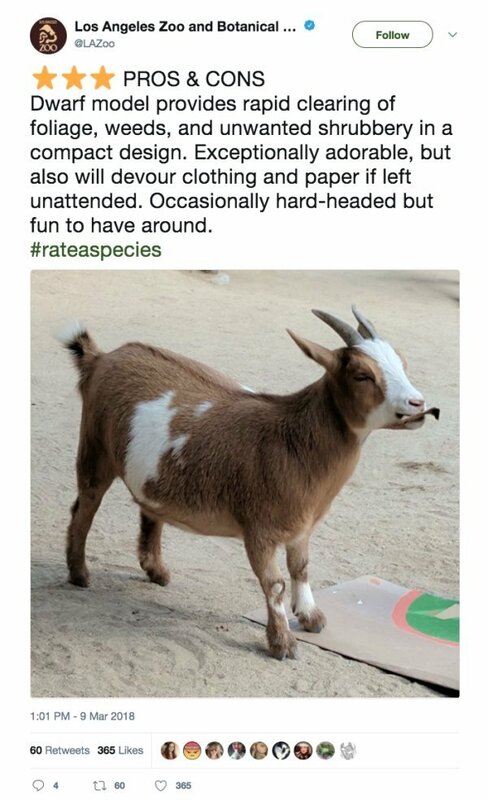 You can even join rate a species, assuming there’s some kind of animals in your immediate area. 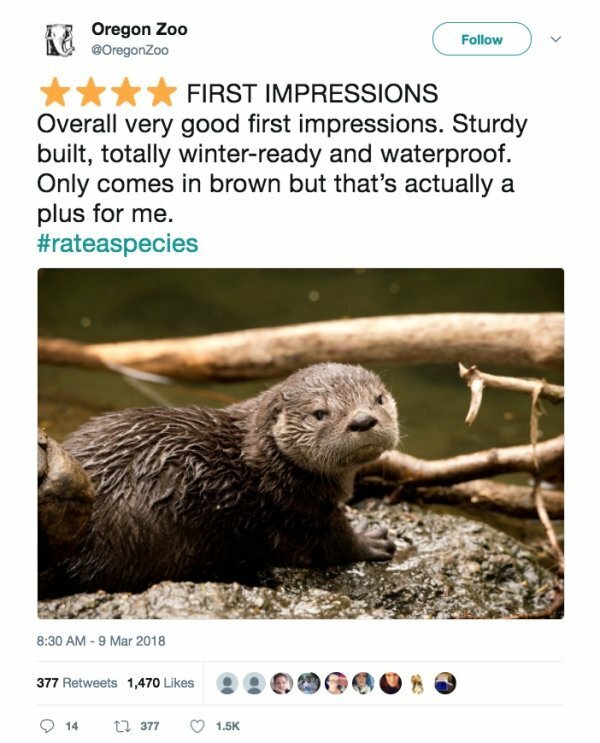 Feel free to rate your dog. 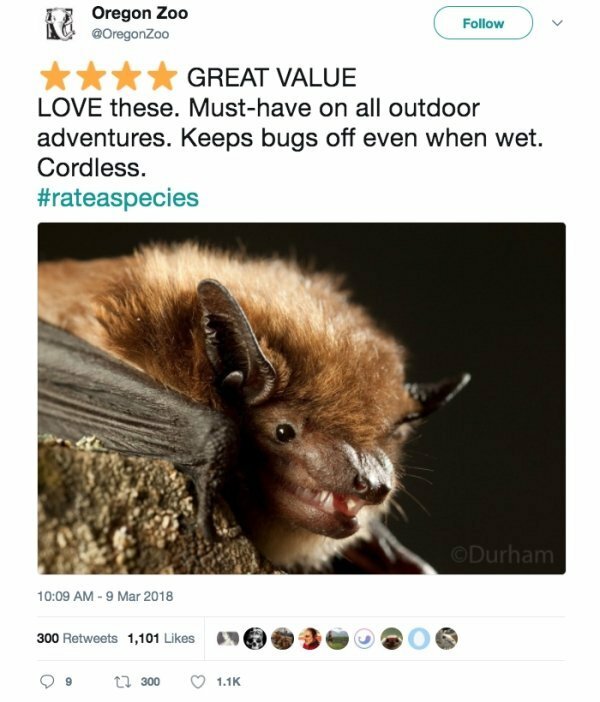 Or if you have bed bugs, those.